A couple of weeks ago Jason Heath over at doublebassblog.org and adaptistration.com/artsaddict posted this truly awesome album cover. This is a pretty vivid reminder of what we’re losing as more and more music moves to purely digital distribution. Album covers don’t really matter anymore, depriving us of really memorable artwork such as this. I mean, The Planets is pretty cool on its own, but add in a guy wearing tights, gitch, and a laser gun, and you’ve got yourself a best seller. Jason’s post reminded me of another blog post of the top 10 worst album covers of all time. You can check out the complete list over at Pork Tornado. The cover below is my favourite – it’s creepy and funny at the same time. 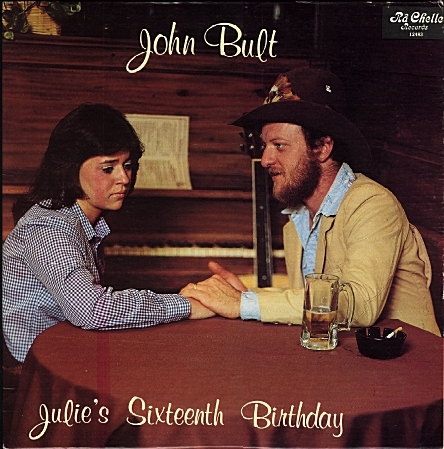 Julie really doesn’t seem to be happy on her 16th birthday, but given that she’s spending it in a run-down bar with a lecherous older man, who can blame her?